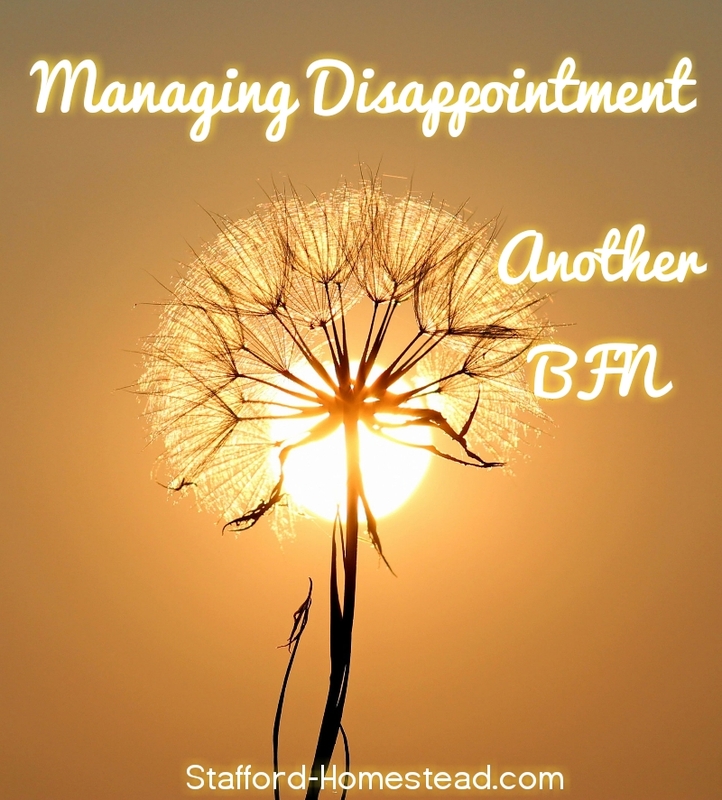 Dealing With Disappointment: Another BFN. So my second IUI comes to an end and it was unsuccessful. I’m not surprised. To be honest right now I feel a bit numb to it. I feel OK , I have a lot of things in the running for next cycle and am expecting to need to move on to IVF after that. I’m handling the disappointment of another failure, a lot better than I have in the past. Here are some coping techniques I have learned over the years of monthly BFNs. Let yourself feel it. It’s been a long trying month I’m sure. There is no way to sugar coat it. You either saw AF’s ugly face or you saw that glaring “Not Pregnant” test. Weather or not you “felt pregnant” this cycle or not, you’re not, and it stings, a lot. Do what you need to do. Cry it out, yell, call your support system and talk if that’s what you do. Let your disappointment have its time. Move on. Don’t let negativity take over your life. Only you can control how you react to this. You can choose to throw yourself an overdrawn pity party or you can move on with your life and be productive. It’s easy to let the negativity flow. Wallowing will not change the fact that it didn’t work and you’re not pregnant. Being positive and doing productive things with your life can change your future for the better, it’s more difficult, it’s worth it, you’re worth it, your baby is worth it. Count your blessings. Infertility is hard on a woman, on a marriage, its down right unfair. BUT honestly, it could be much much worse. Are you otherwise healthy? Do you have a safe place to call home and regular meals? In the grand scheme of things yes this is a hard struggle to have, but do not forget all of the things you have to be grateful for every day. Practice self-care. I bought myself new markers for my adult coloring book. I liked coloring but my coloring pencils were too dull and I wasn’t able to create the colors that I wanted. I felt drained, I didn’t want to get on the treadmill, but I did, and I felt great during and afterwards. Your body/self is your most important asset, take extremely good care of yourself! Avoid negative people. When you always end up hearing about problem after problem and complaints. These people leave you feeling even more emotionally drained than before, this is not good, avoid as much as possible. Take opinions with a grain of salt. Hopefully you don’t have someone doing this to you, but people may say rude/insensitive comments. Don’t take them to heart. You can hear the words they say but do not give them power by feeling any certain way. When I hear opinions/rude/insensitive comments I try to see it from their prepective and I usually can see where their ignorance lies, I know people are not out to personally attack me. Plan! regaining control of your life/emotions after another disappointment is important, focus on the future and what you are going to do next, how you are going to improve/ or maintain your life. Set goals big or small, related to fertility and unrelated. Infertility is time-consuming and can really take over your life if you let it. Remember to keep living your life too!! Plan actual things you like to do, not just all medical related stuff.. It’s all about balance. This month I have a week off of work for April vacation. I plan on having my niece over for a couple of days to spend some time together. I’m also in full swing with the homestead. Seedlings are growing, spring garden is planted, Bee hive needs to be painted, Bees are coming next week! Baby chicks are coming in a couple of weeks. My rabbit is about to have her first litter! I’d also like to do some spring cleaning and sell a couple of end tables I’ve been refinishing. I’ve called the chiropractor and acupuncture to start all of that for my next cycle. Last chance before IVF! So I’ve been googling IVF prep stuff and all of that. I’ll be foraging for fiddle heads and hiking with the dogs. Time to actually live and enjoy life! Previous Step By Step Details, What to Expect: My Second IUI.